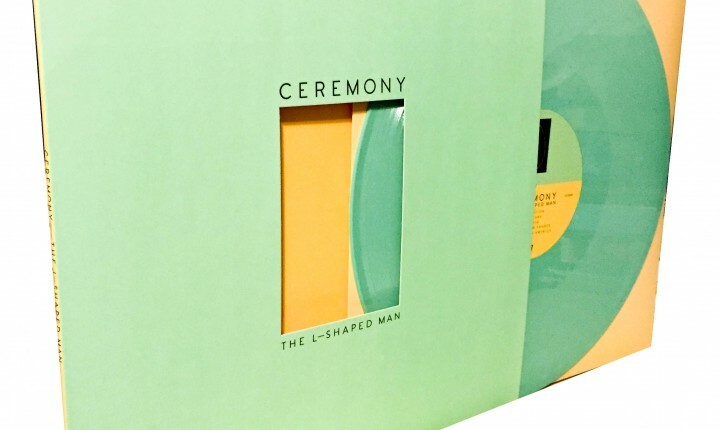 A deeper look at the grooves pressed into the L-Shaped Man LP by Ceremony. Ceremony is one of those bands that I have always trusted and respected to the point where Iâ€™ll sit down and patiently wait to absorb their new albums when they come out. And patience is something that is essential for old fans of this band. Having started out as a â€œviolence punkâ€ band (whatever the hell that means), each subsequent album has found Ceremony adapting and successfully revising their sound. And this is why the L-Shaped Man is such a disappointment. Yes, Ceremony has always explored what new possibilities their sound may be capable of, release-by-release, but it has always ended up sounding like a Ceremony album. The great thing about music is that we can constantly mix and match to create something new and the band has always taken advantage of that; itâ€™s evolution in a strict biological sense. Recombination leads to a stronger product in nature, while simple copies are at a disadvantage. That might be why L-Shaped Man fails: itâ€™s too much like a copy â€“ of Joy Division, in this case. L-Shaped Man sounds exactly like a Joy Division album; the guitar noodling, the stoic singing, the song structures, the abstract lyrics (okay, Ceremony has always had that) are far enough from the band’s established center that the end product doesnâ€™t sound like Ceremony being influenced by Joy Division but a band straight-up copying Joy Division. Yes, Iâ€™ve shown L-Shaped Man the patience I normally do to Ceremony (and, to be fair, there are some interesting songs here like â€œYour Life in Franceâ€ and â€œThe Separationâ€), but the album doesnâ€™t do enough with the style to stand on its own legs. Itâ€™s just a Joy Division replica. With all of the above said, that my conclusion of L-Shaped Man is that it comes short of expectation should come as no surprise â€“ but the vinyl is a bright spot. This pressing comes in a beautiful pale blue record and die cut jacket which highlights the artwork on the inner sleeve. Itâ€™s very slick and classy looking.